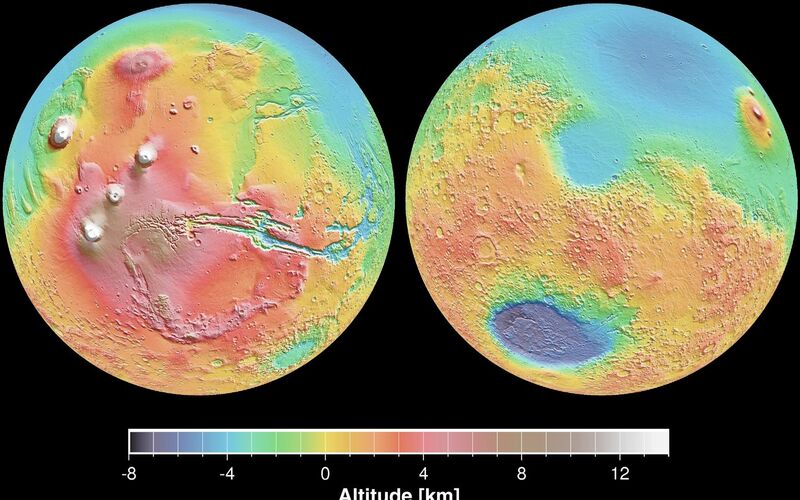 These maps are global false-color topographic views of Mars at different orientations from the Mars Orbiter Laser Altimeter (MOLA). The maps are orthographic projections that contain over 200,000,000 points and about 5,000,000 altimetric crossovers. 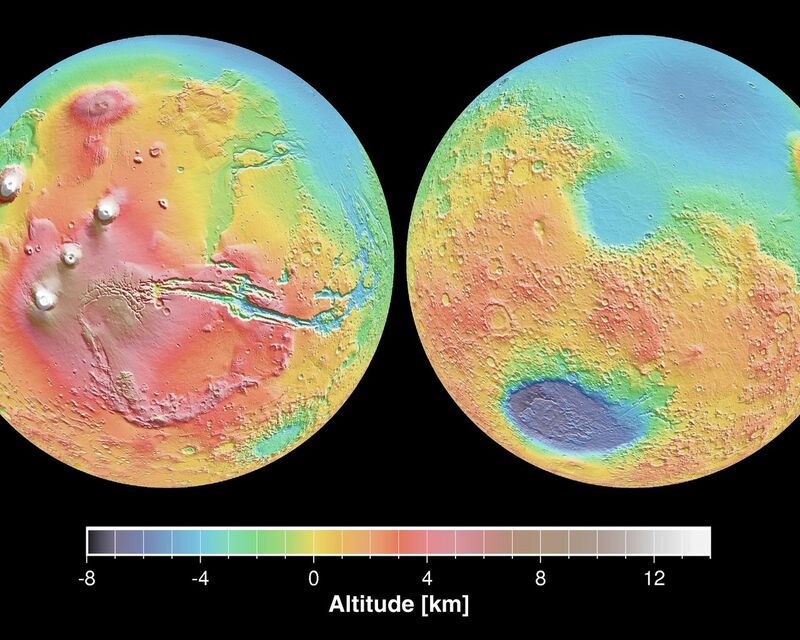 The spatial resolution is about 15 kilometers at the equator and less at higher latitudes. The vertical accuracy is less than 5 meters. 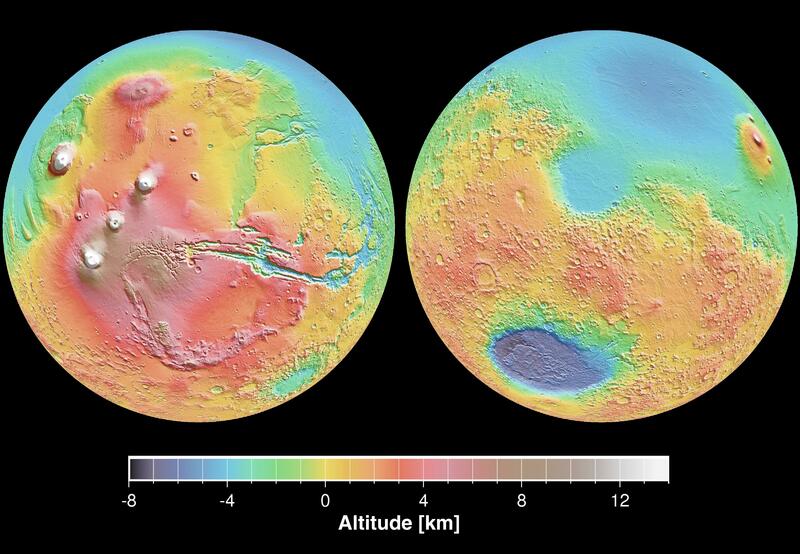 The right hand image view features the Hellas impact basin (in purple, with red annulus of high standing material). The left hand features the Tharsis topographic rise (in red and white). Note also the subtle textures associated with resurfacing of the northern hemisphere lowlands in the vicinity of the Utopia impact basin. 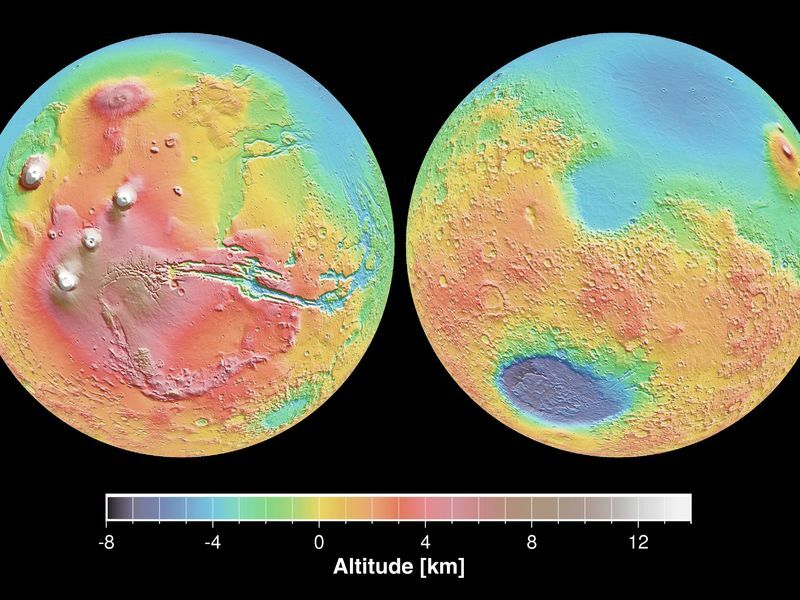 These data were compiled by the Mars Orbiter Laser Altimeter (MOLA) Team led by David Smith at the Goddard Space Flight Center in Greenbelt, MD.